Caylen is a southern california native, born and raised in Long Beach, CA. Her love for movement was realized when she began figure skating lessons at the young age of 12. After six years, she transitioned from the ice to the dance floor. It was then she decided to pursue dance throughout her collegiate years. Caylen graduated from California State University Long Beach in December 2015 with a Bachelor of Arts Degree in Dance an Option in Dance Science and it was there she took her first Pilates based class. She became most interested in the enhanced mind-body connection and awareness that Pilates emphasized along with the rehabilitation from injuries, which led her to continue her Pilates education. Caylen has completed her BASI Pilates Teaching Certification with Dance Specialization under the direction of renowned instructor Karen Clippinger. She assisted Karen Clippinger with her Pilates classes at CSULB through Fall semester 2015 and Spring 2016. 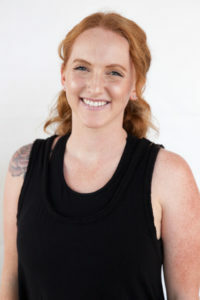 She has worked with multiple Pilates studios throughout Huntington Beach, CA where she has taught group reformer classes, semi-private, and private pilates. Caylen loves being outdoors where she can enjoy camping, hiking, paddleboarding, and traveling. She is currently working towards her long-term goal of starting her own Pilates business and opening her studio.